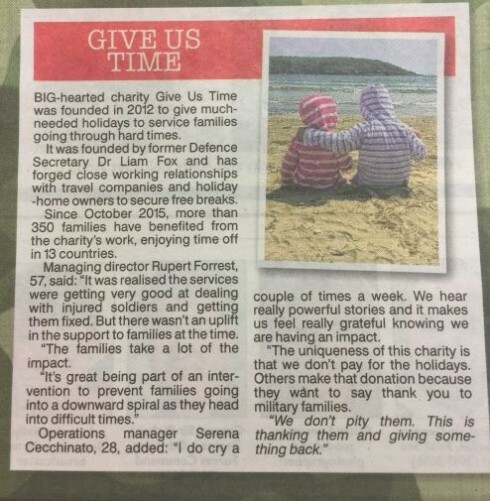 Give Us Time takes commercially let accommodation donated by owners of holiday groups, hotels, holiday homes and timeshares, and matches them with military families in need of rest, rehabilitation and reconnection with their families. Often, after 6 months away from home, the family dynamic can change considerably and it can be stressful for both the service personnel and their families to readjust to a life together again, in a domestic situation that may be different to how it was before they left. Give Us Time helps service families reconnect to life after deployments and provides them with the chance to spend time together and to reaffirm their family bonds and strengthen relationships. Since 2001, more than 220,000 British forces personnel have served in Iraq and Afghanistan. 455 of those have lost their lives in Afghanistan, in addition to 179 in Iraq. Up to 75,000 more have experienced physical or psychological damage as a result of combat operations – a figure that does not include those who are yet to be diagnosed with PTSD or other complications due to service. But these numbers are just the personnel and do not include the parents, children, wives, husbands, partners and numerous other family members that have been affected by these conflicts in support of their relatives and loved ones overseas. After six months away, the family dynamic has changed and service families need time together to adjust to life after deployments. Give Us Time provides families with time to reconnect in a peaceful environment. Holiday accommodation is generously donated by holiday companies or private owners. Give Us Time then matches these with British service personnel who are in need of rest and quality time to spend with their families. Give Us Time holidays are almost always accommodation only, except in exceptional circumstances. 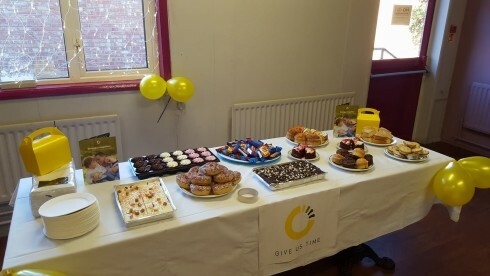 Give Us Time was founded in 2012 and established as a Charity in 2013. Having worked as both an Army medic and later as Secretary of State for Defence, Liam Fox MP, knew all too well the affect that military life can have on service families, and was aware that homecomings are not always as easy as might be expected. The family unit is the rock that underpins military life, be that the military family or the individual service families, who themselves form a close community on which military personnel often depend. Give Us Time was set up with cross-party support in parliament and the charity now has a growing support base within the public. 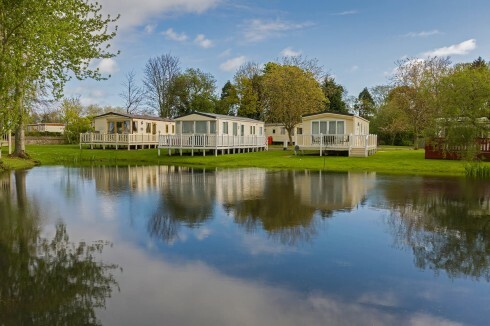 Holiday accommodation is generously donated by holiday companies or private owners. Give Us Time then matches these with British service personnel who are in need of rest and quality time to spend with their families. Give Us Time holidays are almost always accommodation only, except in exceptional circumstances. No matter how big or small the property is or whether it is an apartment, hotel room or lodge: we’d love you to consider donating available spare capacity, a week or a weekend, to a military family in in need. The only requirement we ask is that the property is commercially let. The process to donate your spare capacity is easy and quick. Hosts only need to register on our website and upload few information regarding the property they want to donate. It’s possible to donate one single break or several at the same time. Once the breaks have been added to the website they are available to book by our families in need. If laptops and technology are not your best friends or if you are extremely busy, please get in touch with the Give Us Time Team and we will assist you in the donation process to make it even quicker and easier for you. Whilst accommodation is free we do have costs associated with providing travel for some of our beneficiaries and enabling the charity to operate. If you would like to run an event to support us or simply make a donation please go to our website and click donate. Give Us Time were delighted to have been invited to the Bridge Leisure Conference this year. They are one of our most generous donors, donating 50 breaks for our military families last year and even more in 2019. Give Us Time were given the exciting opportunity to speak at their conference. Our Chairman spoke about the role Give Us Time play in helping current and former military personnel. One of our longest serving Trustees also spoke about her experience hearing from military wives about what it’s like when their partners are away and their struggles when they come back and the family needs to adjust to a new routine. Bridge Leisure also invited one of our military families to talk about their break at Hengar Manor, one of the parks of the Bridge Leisure group. Liam spoke about the positive impact the break had on his family and how it helped him during a difficult transition from military to civilian life. Liam finished his speech by reading his moving poem “Soldiers Wife”, dedicated to his wife Tess, also in attendance, and inspired by the strength military spouses give their loved ones: steady rocks during stormy times. The poem received a huge ovation from everyone in attendance. Give Us Time is proud and honoured to have Bridge Leisure as one of its donors and hopes their generosity and commitment towards the armed forces community can inspire others to support the charity. In July 2017 our daughter Sophie was diagnosed with stage D retinoblastoma (eye cancer). As devastating as this news was, her prognosis was and still is good. Sophie underwent six months of chemotherapy along with laser therapy and cryotherapy. The Chemo ended just before Christmas 2017 and was very successful, but she still receives laser and cryotherapy every 3-4 weeks. The welfare staff at RAF Waddington have been a tremendous help throughout and are still doing an amazing job with regards to helping me obtain RAFBF grants to help towards the expensive overnight stays at Birmingham Children’s Hospital and putting us forward for various welfare breaks. One welfare break in particular was arranged through the charity ‘Give Us Time’. This is a relatively small charity that relies on holiday companies, holiday homes and anyone who has accommodation that can be donated for a couple of weeks per year for use by a military family that require a welfare break. Such a simple but effective concept. 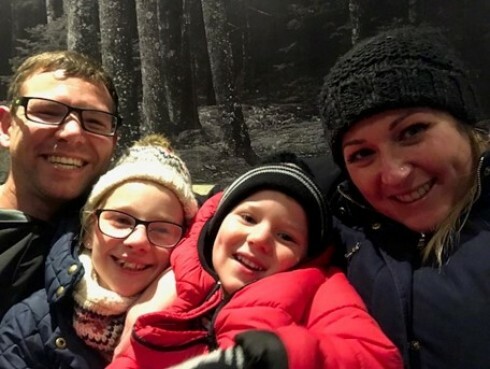 My family were awarded a trip to Center Parcs, Longleat for 4 days thanks to ‘Give Us Time’ in September 2018 which really gave us a very welcome opportunity to forget all our worries of treatment and the general busy day to day life between treatment days. On my return to work after the break, I was asked if I would appear as a guest speaker at a ‘Give Us Time’ fundraising event. This would turn out to be quite a high-profile event. The Right Honourable Dr Liam Fox opened the nights event detailing the importance and sacrifices made by the spouses and families of military personnel. Lady Kitty Spencer followed with the justification for why this charity is important and how it plays a vital role in helping military families in need. Lady Kitty Spencer then introduced me onto the stage to give a talk as a beneficiary of the charity. My talk turned somewhat emotional, but I think the message went out as to how important donating a couple of weeks per year really helps a military family. The evening concluded with a very generous auction raising around £40,000 on the night thanks to likes of one of the charity’s ambassadors SBS veteran and TVs ‘SAS, Who dares, wins’ Ant Middleton donating a day of training in the style of his TV show which sold for £8000. Article taken from the online edition of Insight, the official magazine of RAF Waddington. 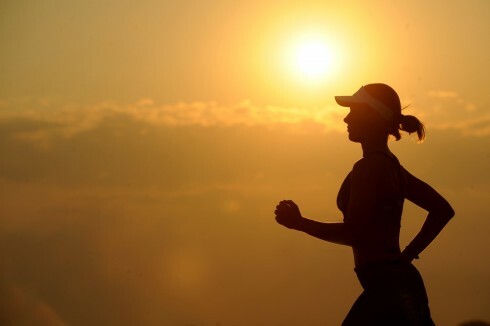 Have you set a New Year’s resolution to start running but need motivation? Then Give Us Time are thrilled to announce that we have secured five places at the Virgin Sport 2019 ASICS London 10k on the 21st of July. One place has already been taken so there are only four left! Now you have the perfect motivation to start running, with a six-month countdown until race day! It doesn’t matter if you’re the next Mo Farah or a first-time jogger, Give Us Time needs you! 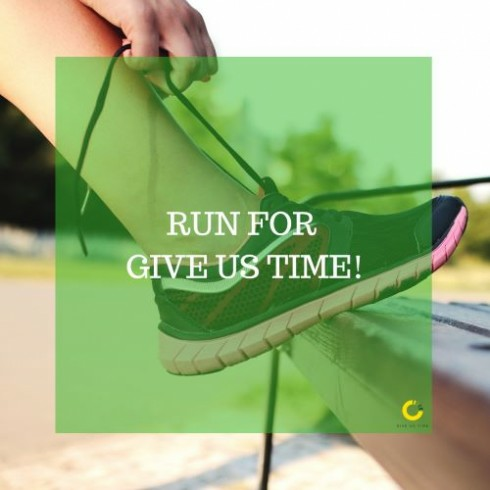 If you would like to run and raise money for Give Us Time then email [email protected] and you can secure your place at the ASICS London 10k. Give Us Time is delighted to announce we have been nominated for the ‘Support to the Armed Forces’ award at The Sun Military Awards 2018. We are honoured to have been nominated for this award, and we hope that this will raise awareness of our charitable activities and increase donation of properties so we can send more military families on respite breaks. 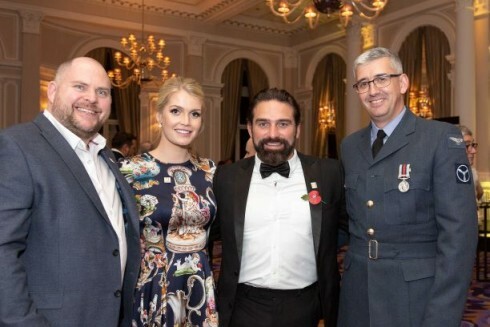 We would like to thank our ambassadors Ant Middleton and Scotty Darroch and our Patron, Lady Kitty Spencer for all their tireless work in raising awareness for Give Us Time. We’d also like to thank all our amazing trustee who have put in so much time and effort into the running of the charity, without them we wouldn’t be here. We at Give Us Time would finally like to thank everyone else who has helped and supported the charity over the years. Especially all the property donors who have donated respite breaks for our military families, Thank you! Today is St Nicholas’ Day and with Christmas fast approaching, we would like to encourage you to give the gift that St Nick cannot give. Time with loved ones is so precious. Reconnecting and strengthening loving relationships is especially important when time apart can be long and difficult. We hope this Christmas, you can give the Gift of Time. A message to our military families from a Give Us Time Supporter at our 2018 Fundraising Event sums this up well. “Spend as much time *as possible* together, create memories, smile often, laugh lots and hold them *your loved ones* tight”. Here is a photo of Marco, Carly and their children, one of our beneficiary military families creating happy memories together during a Give Us Time respite break. If you would like to donate the Gift of Time and have a commercially-let property or would like to make a financial contribution, please get in touch and email [email protected] or click through on our ‘Donation’ button. On Monday 29th October 2018, Give Us Time held its Fundraising Event at the stunning Corinthia Hotel London. Those in attendance included Give Us Time Ambassador Ant Middleton, Viscountess Emma Weymouth and Floella Benjamin. The charity also had the privilege of welcoming the First Sea Lord Admiral Sir Philip Jones and the Vice Chief of the Defence Staff General Sir Gordon Messenger. The historic and illustrious surroundings of the Corinthia were fitting, having housed the administrative offices of the Ministry of Defence for 70 years. Rt Hon Dr Liam Fox MP introduced the evening. The charity’s founder highlighted the focus of the evening – the families of military personnel. “They are the heroes behind the heroes”. He thanked them “for their sacrifice, their support and their perseverance, without which our brave armed forces personnel would not be able to do the jobs that they do”. Lady Kitty Spencer then spoke of her privilege to be the Patron of Give Us Time. She explained the simple concept behind the charity. “If you have a hotel, a holiday home or a second home, donate any time that you’re not using and we’ll give this time to a military family”. After a short video further explaining the work of Give Us Time, an Auction took place, helping to raise funds for the work of the charity. The Event was a huge success, helping to raise £40,000! Thank you to everyone in attendance, and especially the sponsors and all those who donated prizes for the auction. Give Us Time hosted a conference on 16th May 2018 engaging organisations with an interest in respite breaks. The objective was to assess the positive impact of respite breaks on the recovery and rehabilitation process of military families in need. The Conference showed the positive impact of respite breaks on the mental health and stress factors of the service person/veteran as well as their family members. It also shows an improvement in relations and re-connecting within the family: spouses and children. Give Us Time’s findings, using clinical feedback indicate that respite breaks are very beneficial and provide a different way to ease and support in the recovery and rehabilitation process. Give Us Time would also like to thank all those involved for their support. Thank you Bridge Leisure for your generous donation! Give Us Time is delighted to announce that Bridge Leisure has kindly donated 50 breaks to military families in need. The breaks will be throughout the year and at various locations across the UK. These include near the Moray Firth, Scottish Borders, Yorkshire coast and Cornwall. For more information on these parks and all of their other locations please visit www.bridgeleisure.com. The parks have different facilities which go from indoor pools and children’s adventure playgrounds to bars, restaurants and entertainment evenings! We would like to thank Bridge Leisure for this generous donation which will enable us to help even more military families in need of time to relax and reconnect. For more information on our charity and additional details on this fantastic donation please visit our website www.givustime.org.uk. We are thrilled to announce that Give Us Time has been selected as one of the nominated charities for 2018’s Walk For Peace! The Walk for Peace has been held every year for the last twenty-eight years and in the past five years has raised over £1.3 million which has been distributed to 136 local, national and mayoral charities. This will mean that our efforts will now attract additional funding – meaning that we can help more military families. This year’s walk will be on Sunday 29th April in the Royal Windsor Great Park. Please register online www.charitywalkforpeace.org so that you can come and join the Give Us Time Team! Walk with us and enjoy a morning of fun while raising funds for our charity. And dogs are welcomed too! Lady Kitty’s commitment and passion are an inspiration for all of us at the Charity and we could not be prouder that she has chosen to become our Patron. Thanks to a generous donation from the Hotel Savoia and Jolanda, three families had the chance to enjoy a respite break in the stunning city of Venice, Italy. They even took the time to talk with us about their experiences. The families had different backgrounds, but all were in need of quality time away to reconnect as a family unit. James, 10, said this “was the best holiday of his life” and couldn’t wait to tell his friends at school all about it. His parents are both serving in the RAF and it is difficult for him to spend time apart from them, saying what he misses the most when they are away is cuddles. 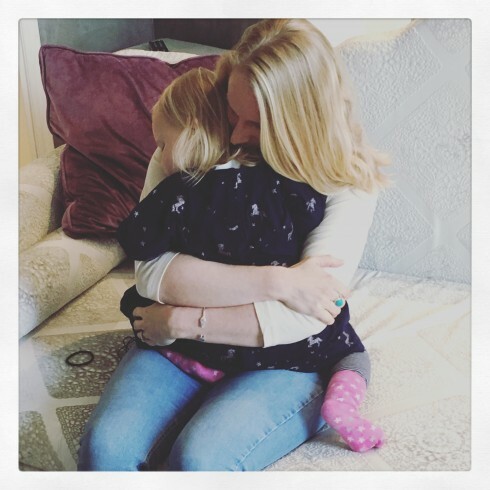 Lidya, whose husband serves in the Royal Marines, talked about the difficulties of raising their 2-year-old daughter when daddy is away and the fear that embraces you every time your husband is deployed away from home. Rosa lost her husband to cancer and is now raising their two daughters trying to fill their lives with love and laughter despite their tragic loss. She said her support network of friends is really helpful, as well as the Unit Welfare, and she is very grateful for it. Rosa stressed the importance of spending time with your loved ones because you never know when they will be gone. For all three families, this respite break was exactly what they needed to reconnect and go back home with renewed energy and positivity. For the Give Us Time Team, who had the chance to spend a couple of days talking with the families, it was an amazing and emotional experience and it reminded us how important our mission is. Here at Give Us Time we would like to thank the Hotel Savoia and Jolanda without whose generosity this opportunity wouldn’t have been possible. We wish there will be other inspired hoteliers who will support our charitable cause and help other families in need of time. 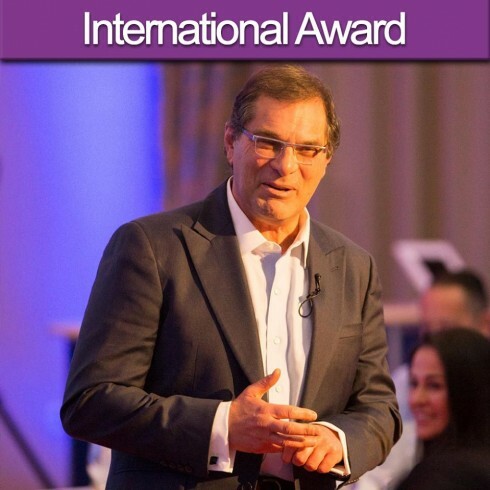 Give Us Time supporter, Chris Grech, has been shortlisted for the International Award at the 2018 Soldiering On Awards! Give Us Time is thrilled that one of its long-time supporters, Chris Grech, has been shortlisted for the International Award, at the Soldiering On Awards, which will be decided in April this Year. Chris, a Maltese National, has been supporting Give Us Time since 2014, donating accommodation at the Balkan Jewel Resort in Bulgaria to British Service families in need of respite and recuperation. When Chris Grech heard about the charity Give Us Time, formed to meet the needs of Service families, he offered to run a pilot group holiday: a week at the Balkan Jewel Resort in March 2015. This is now the fourth year Give Us Time is able to offer its beneficiaries this amazing opportunity, thanks to Chris’ generosity and commitment to our charitable cause. Over the years, Chris and the Balkan Jewel have accommodated over 200 beneficiaries from Give Us Time, with another group benefitting from this chance this year. he organisation of this annual respite break is a highly complex, time-consuming task, requiring great sensitivity, tact and meticulous attention to detail from both Chris and his staff. Furthermore, he has engineered preferential rates for all equipment hire, trips to local attractions and personally ensured that medical issues are covered swiftly and appropriately: he has not spared himself. The overall result has been achieved because of the trust and high regard in which Chris is held, combined with his infectious enthusiasm. His commitment to the Armed Forces is extraordinary and a leading example in the hospitality industry which can do so much to support Service families. “I have no doubt the 'Give Us Time' charity will continue to grow exponentially”, said Chris, “once more socially minded entrepreneurs are made aware of the charity's contribution to the families of the Armed Forces”. We are delighted that the Soldiering On Awards have given Give Us Time the opportunity to draw attention to Chris’ outstanding acts of personal sacrifice and comradeship demonstrated internationally, and to his exceptional support to the British Armed Forces Community. We hope that his example will inspire others to assist our cause. On Friday 8th December Give Us Time held our first Christmas bake sale. We would like to thank all of those involved including the 4 Regiment RLC and 4 Armd Med Regiment, The Black Arts Company, 2112 Communications and Timeshare Hypermarket, along with other supporters. We were all very impressed and grateful by everyone’s enthusiasm, generosity and delicious creations! All of the awareness and donations raised will help us support even more military families in need in 2018. In particular, the money raised will fund flights for our upcoming group holiday in Bulgaria where our families will stay at the wonderful Balkan Jewel resort. And we are pleased that the event raised over £300, which will sponsor the flights for one family! Thank you everyone for their generosity that made this possible. In October Give Us Time sent five families to the amazing Azure Resort in Malta in collaboration with the Defence Medical Rehabilitation Center at Headley Court. 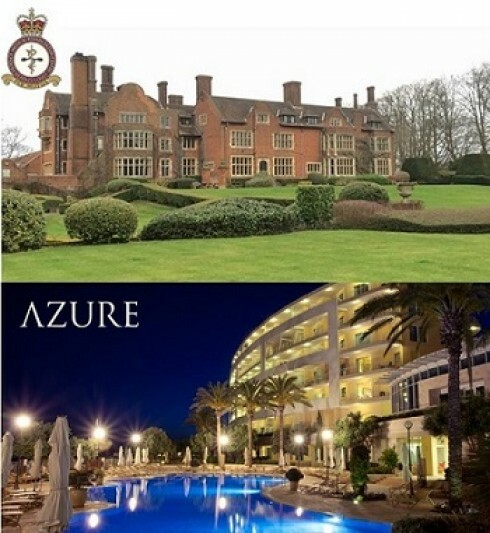 We are all incredibly grateful to the Azure Resort for this generous donation as one of our family members said “we just want to thank you all again, it is just amazing that there are people out there helping others”. The feedback from the families has been wonderful: they all had a great break relaxing and reconnecting as well as exploring the island. Headley Court has also sent us feedback reporting the changes and benefits of the break from the clinical perspective: the benefits from their viewpoint include giving the service personnel the opportunity to use the tools that they have learnt at Headley Court to manage their symptoms in a new environment, try different strategies, manage the reactions of strangers, re-establish their roles as husbands and fathers and reconnect with their wives and children. Many children of military personnel live in fear of their mother or father being injured and even being killed. Quality time away with their loved one enables the children to be reassured that their parent is alright - even if they have been injured, have physical or mental health issues as a consequence of their service, their dad is still their dad and their mum is still their mum and they are not going anywhere. These breaks allow families time away from the normal stresses of everyday life: for those battling with health problems these stresses are exacerbated and have an impact upon the whole family. The opportunity to have quality time together is invaluable and all of the families reported an improvement in family bonds and Headley Court also noted this and the benefits on the person’s mental health as well. Once again Give Us Time would like to thank all of those involved in making these holidays possible – the staff at the resort who made sure their stays were splendid, to the generous donation from Azure Resort and those supporters who donated the flights. The memories made will last a lifetime and we are confident the benefits will as well. 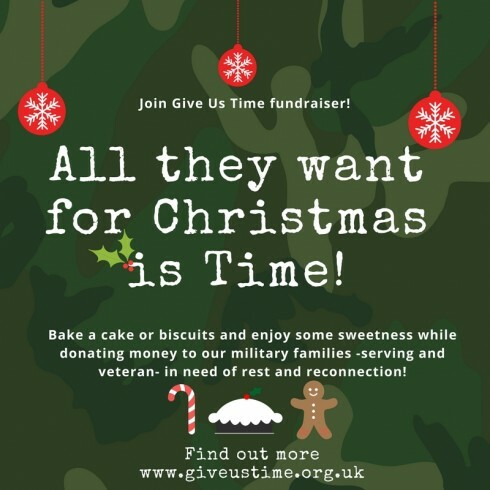 "All they want for Christmas is Time"
Give Us Time is holding its first bake fundraiser: “All they want for Christmas is Time”. This will be an opportunity for us not only to raise money for our families, but also to raise awareness on our cause by showing a widespread support from communities. The bake fundraiser will be held on Friday 8th December. If you want to support this initiative, all we need you to do is to bake (or buy! We won’t judge you) some biscuits or cakes and hold a fundraiser at your workplace or at home. Invite friends, family or co-workers! They will have a great time enjoying some sweetness while donating some money to Give Us Time! All the money raised will fund flights for military families in need to go on a break at our next group holiday in Bulgaria in March 2018. If you will join the initiative, get in touch and we will send you a Give Us Time box where you can put your donations, some leaflets with Give Us Time logo and some brochures. So please, remember to provide us with an address. If you will request our pack later than the 20th November you might not receive it on time, but we will still be happy for you to join our initiative! In order to raise more awareness, we will ask you to post pictures of your event on our social media platforms (Facebook, Twitter and Instagram) using the hashtags #GiveUsCake and #GiveUsTime. Other hashtags are more than welcome, but please include the two we gave you. In particular, to magnify the impact on these platforms we are asking our supporters to post pictures or comments simultaneously at 1pm using the # above. You can do this from your company or personal account and the more the merrier! So, encourage your friends who joined in the initiative to do the same! If for some reason you need to organise your event on another date or in the morning, please feel free to do so. You just need to remember to share your pictures with the # at 1pm on Friday 8th December. Looking forward to seeing some baking skills! According to industry experts, bedroom and bed-space occupancy across the serviced accommodation sector (Resorts, hotels, cottages and B&Bs) has on average remained flat and ranges between 8 out of ten rooms to 7 in in ten rooms in the North of the country. From the data available in the EU occupation ranges from just three in ten to 7 in ten. There are clearly seasonal variations but minimising Dead Space is a challenge for all. A number of hotel and property owners, at home and overseas, are already donating their spare capacity to charity. The Military Charity Give Us Time assists Service families who are in need: the beneficiaries have suffered bereavement, physical injuries and mental illnesses, have challenging financial circumstances and/or separation due to deployment. The best way to employ your spare capacity is to donate it to charitable causes like Give Us Time. The benefits are not just a boost to your charitable profile and the opportunity to restore family relationships, support the Armed Forces and give a little back. The week or weekend breaks are an opportunity to increase the turnover in your restaurants, bars and beauty centres, which you wouldn’t have otherwise. Giving to this charitable cause would not only satisfy and help retain your current customer base: 91% of global consumers expect companies to do more than make a profit, but also operate responsibly to address social and environmental issues. Your actions would also open up a new customer base and allow you to benefit from some positive PR and costless marketing opportunities. Give Us Time and its military families are grateful and would publicise your generosity through its network and supporters and beneficiaries would encourage friends to choose your business rather than another one: personal recommendations have a deep impact. The impact of a respite break away from the stresses or military life is tangible and effective. Our data show that a holiday reduces stress, enhances the dynamics of a family strengthening relationships and improves self-confidence. 91% of our beneficiaries experience positive change and no one has reported detrimental effects. 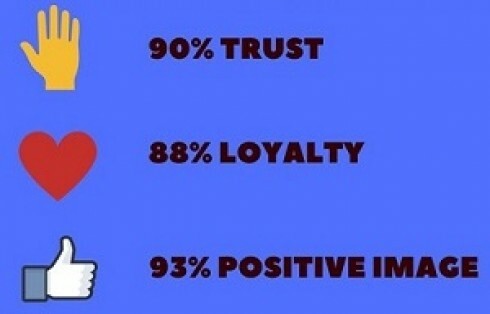 A stunning 98% feels much more optimistic towards their future thanks to the holiday they had. “It was a huge humbling experience for me: having the general public and businesses giving up the holidays, to help our military families in need of rest and rehabilitation, was overwhelming! You are not just providing a vital holiday to a military family, you are not giving us a hand out. You are giving us a hand up. And that’s priceless”. We are excited to announce that we have teamed up with the Defence Medical Rehabilitation Centre at Headley Court to send five military families to the beautiful Azure Resort in Malta in October 2017. “The five families are all patients from the Defence Medical Rehabilitation Centre (DMRC) at Headley Court, which aims to return all those service personnel injured or seriously ill to full fitness. DMRC is a nationally recognised centre of excellence that provides rehabilitation for more complex injuries, including amputee and neurological patients. Patients can be referred to the DMRC from secondary care or directly from primary care and are often residents for extended periods; living apart from their families. DMRC provides a holistic approach to care because all aspects of life are affected by injury, so all aspects require input to help return the individual to their working and social normality. Opportunities like this trip are not considered to be a nice to have; they fit in exactly with the ethos of treatment. Such initiatives add to the help the Armed Forces are able to provide. For many families, this will provide an opportunity for a positive experience together that has previously been impossible for numerous reasons. Give Us Time is grateful to all involved, and is looking forward to future collaborations and hearing all about the trip from our families! We have heard many harrowing stories of resilience through adversity, particularly from experiences within the military, but few are more compelling than Scotty’s. Scotty served for ten years as a Corporal and Training Instructor in the Army’s Royal Logistic Corps and has operational service in Northern Ireland, Bosnia and Kosovo. Scotty had an extremely difficult period during transition and when he left the Army. Not knowing at the time that he was suffering with a mental trauma he started self-medicating with alcohol and then cocaine and heroin. It took 18 years to get a diagnosis of Major Depressive Disorder and Post-Traumatic Stress Disorder (PTSD). He also found a role in the sporting arena and believes an active lifestyle with mental health support contributes to his recovery. He competed at the Invictus games in Orlando 2016 and said it was “humbling and rewarding.” Scotty has also been selected again this year to represent his country in Toronto at the games in September 2017: he is currently training hard! Scotty understands the needs of our beneficiaries and as an Ambassador for Give Us Time, speaks on our behalf encouraging donors to contribute to our cause. He speaks from the heart, with brutal honesty, and can lend his experiences as a soldier, PTSD sufferer or Invictus Games competitor to any situation. But perhaps most importantly Scotty is a true gent, who wears his heart on his sleeve, who will go the extra mile for anyone who asks. His heartfelt speeches have an immense impact on all who hear them. We are delighted to have him on the team! Ant Middleton, an SBS veteran and presenter on Channel 4’s SAS: Who Dares Wins, has just been announced as an Ambassador for Give Us Time during a small fundraising event to raise awareness of the charity mission. 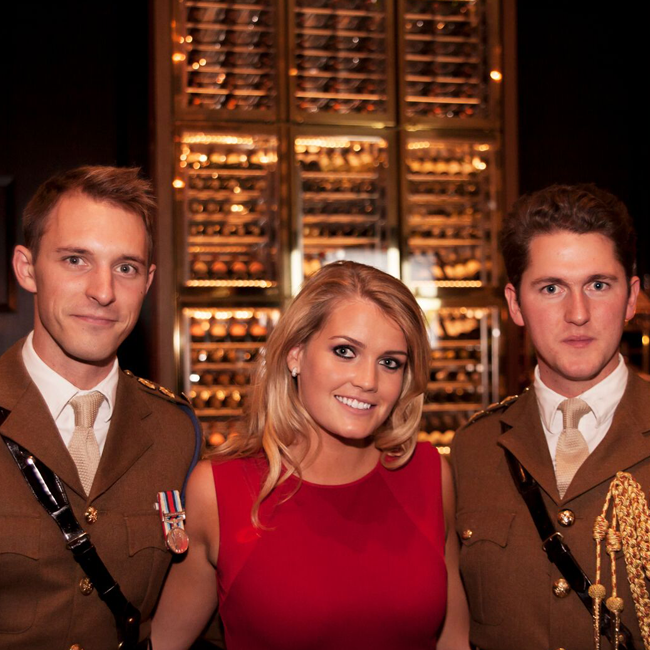 Host of the event was Lady Kitty Spencer, Ambassador and Trustee of the charity and long time supporters of our Armed Forces. During his military career, Ant Middleton did tours in Northern Ireland, Macedonia and three tours in Afghanistan. He also spent four years in the SBS (The UK Naval Special Forces Unit and sister unit to the SAS). He is now Chief Instructor for Channel 4’s hit show SAS: Who Dares Wins. In 2017, we have also seen Ant at the forefront of Channel 4’s hit show ‘Mutiny’ and will see him lead teams in an upcoming engineering and survival based show called ‘Escape’. Give US Time’s annual reception held at the House of Lords. Give Us Time’s annual reception was held on the 1st December in the House of Lords, at the kind invitation of Baroness Floella Benjamin. The event was to thank those who have made major donations to the charity over the past year, as well as to welcome those in the hospitality and travel industry who can pledge holidays for the future. 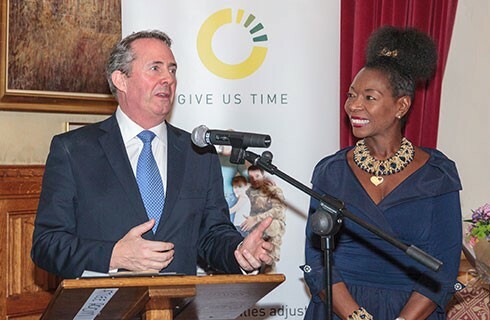 The evening was hosted jointly by Baroness Benjamin and Dr Liam Fox MP, who founded the charity in 2012. Dr Fox took the opportunity to thank donors personally, and to introduce a short film about our recent trip to the Club La Costa Resort in Turkey. 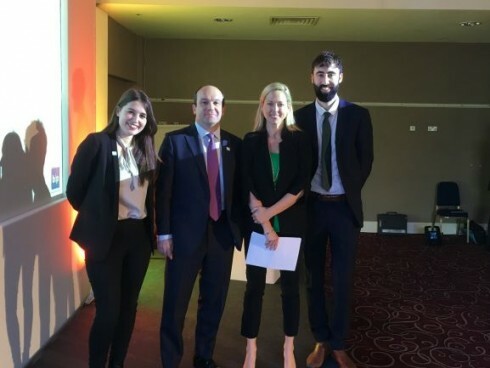 Guests included representatives from Centre Parcs, Diamond Resorts International and CLC World resorts, among others, as well as the Chancellor of the Exchequer, George Osborne. Our Trustees were also in attendance, including Phil Watson, Belinda deLucy McKeeve and Lady Kitty Spencer, who gave a speech about her involvement with the charity and those families who benefit from Give Us Time. Captain John Barker from 4 Regt Royal Logistics Corps was invited to share his experiences as a regimental welfare officer, and emphasised how beneficial our holidays have been to families in his care. In June of this year, Lady Kitty Spencer visited Captain Matthew Harris and his family who were on holiday at Center Parcs Woburn Forest. 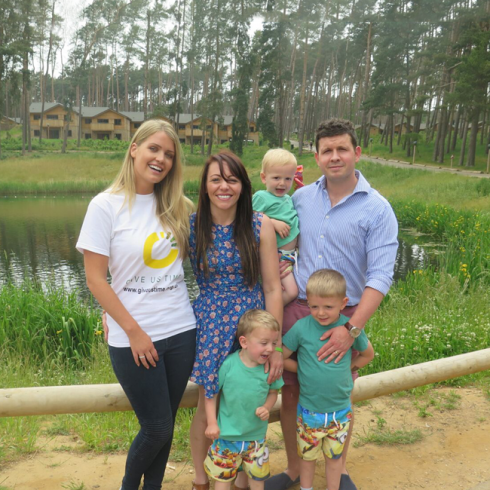 This was just one of 25 holidays that Center Parcs have generously donated to service families with Give Us Time this year at a number of resorts around the country. 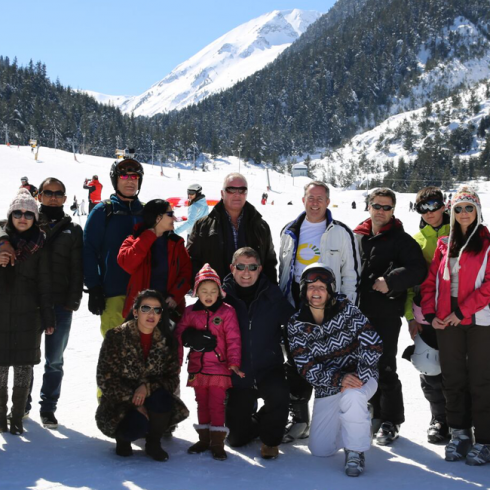 In March 2014 the Balkan Jewel Resort in Bulgaria kindly invited 79 people from service families on a skiing holiday. The military personnel came from mainly the Gurkha and Abingdon regiments, giving them the chance to get away from the strains of military life for a free holiday. The Balkan Jewel Resort is located in the Razlog Valley near Bankso, which is surrounded by Bulgaria's three main mountain ranges giving them easy access to the slopes. Families were able to get a taste of local culture with an array of entertainment provided each evening and had a fantastic time. The holiday was also attended by Give Us Time founder Dr. Liam Fox who continued his very active support of the charity. He was no doubt glad to get away from the campaign trail for a few days. The service we provide at Give Us Time is reliant on the generosity of donors, without them it simply would not work. It was a great week for everyone involved and we are extremely grateful for the donation from Diamond Resorts International and Chris' active involvement. Together we are helping to make a real difference to families. In October 2014, Give Us Time hosted its annual fundraising event at the Corinthia Hotel. The event was attended by Lady Kitty Spencer, Victoria Lockwood, Liam Fox, George Osborne and Michael Fallon and by a number of soldiers and their families, among others. The auction, hosted by Clive Anderson, was a great success and generated vital funds for the charity. We are delighted to release the first Give Us Time podcast hosted by our ambassador Scotty Darroch. In honour of International Women’s Day, we have SSgt Claire Gloyne as our guest. Listen now to her inspirational story. with this podcast we hope to shed light on the struggle our military families face. Azure X partnered with Give Us Time to give military families a much-needed break in Malta. Stephan went on the respite break with his children: Shaheen, Leel and Sebastian. Rosa's story is one of the most powerful stories we have heard at Give Us Time, thanks to kind property donation from Hotel Savoia & Jolanda she was able to get the break she deserved. Hear from our Trustee, Belinda De Lucy McKeeve and learn more about the charity Give Us Time and the amazing donors who donate respite breaks to our military families. Thank you to our amazing Ambassador, Ant Middleton, for helping us to raise awareness of our charitable cause! Please check out this unique and amazing Military charity "Give Us Time". Hear from Rosa, an Army widow, in this short trailer of our trip to Venice in January. We cannot thank enough the beautiful Hotel Savoia & Jolanda and its amazing staff for allowing three families to have a much needed respite break. Your generosity changes lives. In March 2017 Give Us Time sent a group of families to the beautiful Balkan Jewel Resort in Bulgaria. Give Us Time and our families are very grateful for the continued generosity of our hosts. 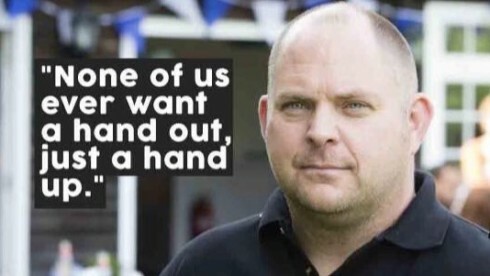 Watch our interviews with families and hear the impact that serving in the Armed Forces can have upon family life and the benefits of respite breaks. Watch our video and hear from Andy, Sammy and Luisa about their amazing experience on the Costa del Sol and how important respite breaks are for military families. Thanks once again to CLC World for its continuing support. In November 2016 Give Us Time held our bi-annual fundraising event at the impressive Corinthia Hotel in London. Our Ambassador Lady Kitty Spencer spoke about the importance of the work that Give Us Time does and Invictus Games Athlete Scotty Darroch's speech moved the audience to tears thanks to his inspirational story of recovery. Give Us Time would like to thank all of those who attended and donated to our charity and in particular the Corinthia Hotel for hosting us all. In October 2015, Give Us Time sent a group of military families to CLC's amazing Kusadasi Golf and Spa Resort in Turkey. The respite break allows military families to reconnect as family units after periods of separation due to deployment and other stressful situations such as ill health and injury. Give Us Time would like to thank CLC World Resorts again for their ongoing support.